Nagoya, Japan, September 1, 2015 – There are still four days to go in the #VabochanChallenge. Use the hashtag and tell us which player you think will win the highest number of most impressive player awards for your chance to win a miniature version of the mascot. 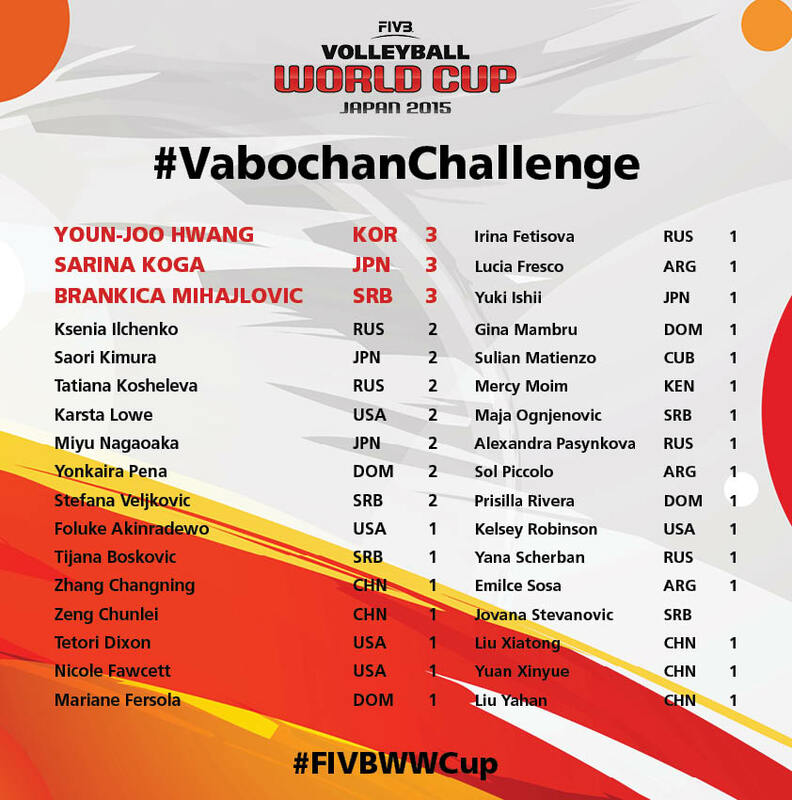 Currently three players are joint top, with Korea's Youn-Joo Hwang, Japan's Sarina Koga and Serbia's Brankica Mihajlovic all on three Vabochans.